Investment analyst Nick Lyons discusses how our members were protected through market volatility in the last 6 months. Future Super has returned above-market returns for the year. We have proven the value of ethical investing by protecting and growing our members’ retirement savings… Again. It would have been nearly impossible to escape 2018 without having at least some knowledge of the turmoil embroiling the global financial markets throughout the last quarter, with heavy media coverage both at home in Australia and overseas. While the second half of 2018 saw a sustained pullback in global markets, it is important to remember that this is off the back of previously strong gains. The first half of 2018 was great for sharemarket investors. As superannuation investors, it’s important to focus on the long-term, whilst trying to avoid making decisions based on short-term market fluctuations. It is also important to remember that in a balanced fund (such as the Future Super Balanced Impact option) only 60% to 70% of assets are invested into riskier asset classes such as company shares. The rest of the fund is invested into more conservative assets such as bonds and other low-risk instruments. That said, the calendar year return to December 31 came in at zero for the majority of balanced funds, making 2018 the worst performing year since 2011. Future Super did a bit better than that, with the Balanced Impact option producing a slightly positive return for 2018. 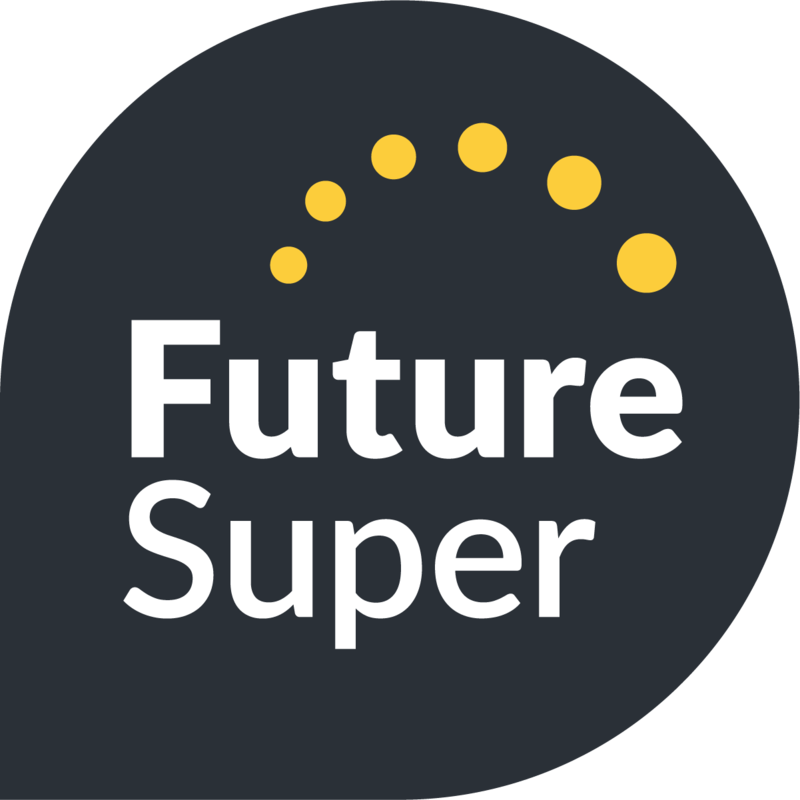 At Future Super, our driving belief is in the long-term outperformance of companies that conduct their business in an ethical, sustainable manner. 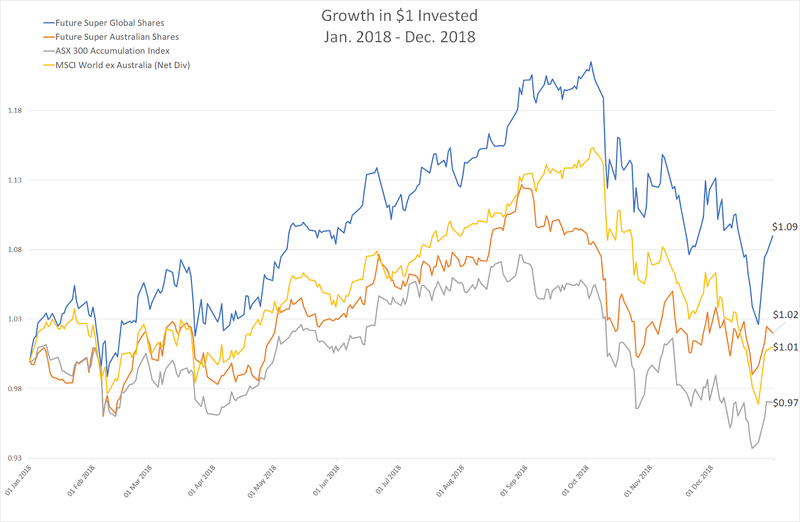 While historical performance is not an indicator of future performance, in times of market downturn it is interesting to contrast and compare the returns of these ethical companies versus the broader market indexes. For the calendar year to December 2018, the Future Super Australian Shares Index returned 1.86% compared to the broader ASX 300 Accumulation Index which returned -3.06%. Similarly, the Future Super Global Shares Index returned 8.63% in comparison to the MSCI World ex Australia (Net Dividends) which returned 1.42% over the same period. At the end of the 12-month period, $1 invested into the Future Super Global Shares Index would now be worth $1.09. $1 invested in the Future Super Australian Shares Index is now worth $1.02. As evidenced above, investing ethically does not have to come at the expense of financial performance and instead can lead to greater performance over the long-term.